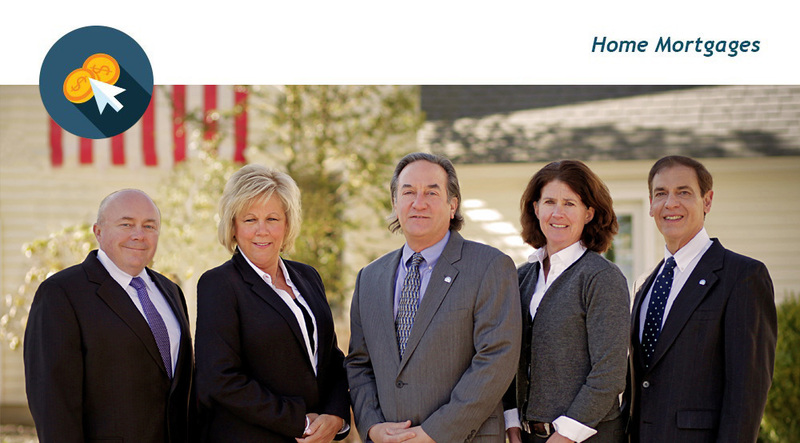 Fairfield County Bank offers a complete menu of mortgage financing programs. Whether you are purchasing your first home or next home, building or refinancing, we can meet your specific needs. Be sure to ask about our pre-approval program. You can apply for a mortgage or home equity line of credit online. Make your home shopping experience easier by leveraging the competitive edge of a pre-approved mortgage. Shop with a commitment letter in hand and a local mortgage expert by your side! We offer financing on properties located throughout Connecticut and Northern Westchester County, New York. Enjoy the security of a fixed interest rate on a fully amortized loan where the monthly payment remains the same for the life of the loan. This type of loan is ideal for borrowers who do not want the risks associated with changing or adjustable interest rate mortgage payments. This program allows borrowers to buy more home for their money, which can help reduce their monthly housing expenses. With this type of loan, your interest rate and payment can change. ARMs typically have a lower initial interest rate than fixed rate mortgages. Interest-rate caps are provided on all ARM products for your protection. Jumbo mortgages are available at fixed or variable interest rates, for customers requiring financing above Freddie Mac and Fannie Mae loan amounts (up to $3 million). Investor mortgages are available for one- to four-family homes, condos, and large commercial complexes. Federal Housing Authority (FHA) mortgages generally offer lower down payments plus flexible qualifying guidelines. You can obtain either a fixed-rate level payment plan or an adjustable rate mortgage. The Connecticut Housing Finance Authority (CHFA) offers low rate mortgages to help low and moderate income residents purchase a home. Mortgage financing up to 100% may be available for eligible borrowers. Tap into the equity you have built in your home with our Home Equity Line of Credit. Enjoy the convenience of an instant cash reserve ready for virtually any financing purpose: home improvements, college tuition, major purchases (like a car or boat), and debt consolidation. Once you qualify, simply write a check for any amount up to your approved credit line limit. If you prefer the security of fixed monthly payments or have a one-time purchase or expense in mind, a Home Equity Loan may be the right solution for your needs. Fixed monthly payments for the life of your loan make it easier to plan your budget. The SmartMove Homeownership fund enables homebuyers to purchase homes in southwestern Connecticut. For qualified borrowers, SmartMove provides low-interest (3%) 20-year second mortgages of up to 20% of the purchase price. SmartMove borrowers do not have to pay for mortgage insurance and also benefit from lower mortgage payments. Borrowers can put down as little as 1% of the purchase price towards the purchase of their home. There is a $2,000-$2,500 service fee for SmartMove borrowers. This fee is not included in the loan amount and will be added to closing costs. This program is made possible through the Housing Development Fund (HDF) located in Stamford Connecticut. For a map and list of towns in the HDF service area click here or send us an e-mail. For more information about our Residential Mortgage Loan programs, call us at 203.431.7431 or toll-free at 877.431.7431. Or send us an e-mail.